For more info on the Seaholm project in Austin click here! 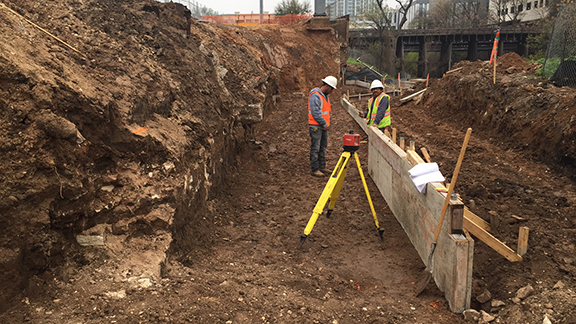 Under construction in the heart of downtown Austin, Texas, a one-thousand four-hundred foot screen wall is taking shape. Situated along Shoal Creek and several adjacent developments including the New Central Library, the project helps to secure an active power station and create urban spaces along its perimeter. The wall will employ over eight hundred 8 x 8 x 12 foot tall integrally colored concrete posts with varying patterns and rotations. 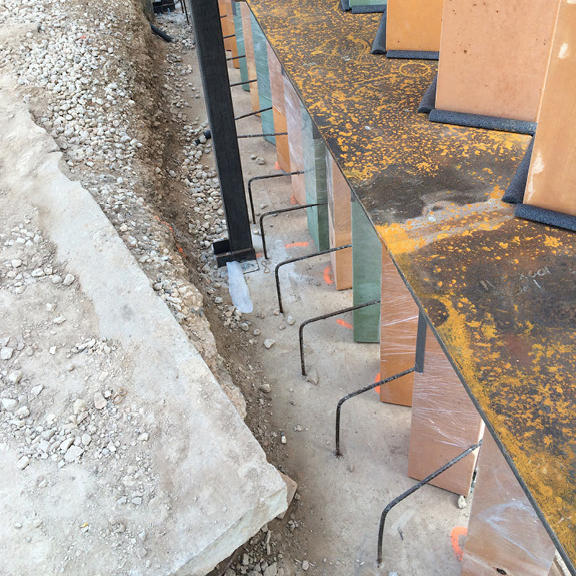 Over 750 pre-cast 8x8x14 concrete posts are being fabricated in green, blue, yellow, light grey and charcoal for the new Seaholm Electric Substation urban wall. 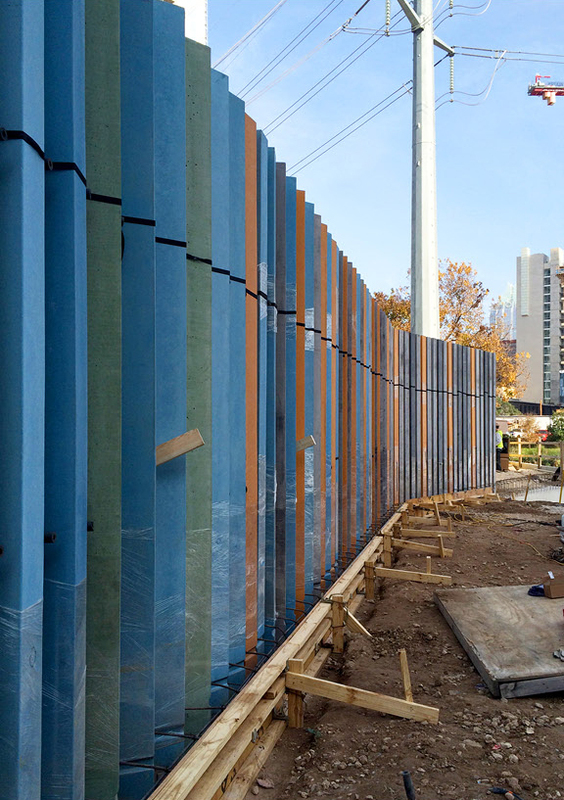 This urban wall will not only veil an existing power substation, but offer subtly programmed experiences to the emerging neighborhood surrounding Austin’s new Central Library, an urban bike-way, and several mixed use developments.